There were so many tiki bars in London, and alas not enough time for us to visit them all. We did have to fit in some legitimate sightseeing here and there! 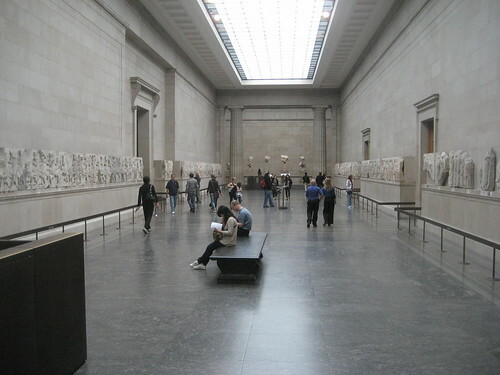 Coincidentally, the British Museum happens to have some South Pacific artifacts along with the very impressive Egyptian collection, Parthenon frieze and Rosetta Stone. Their Rapa Nui Moai (Easter Island statue) is quite a sight. 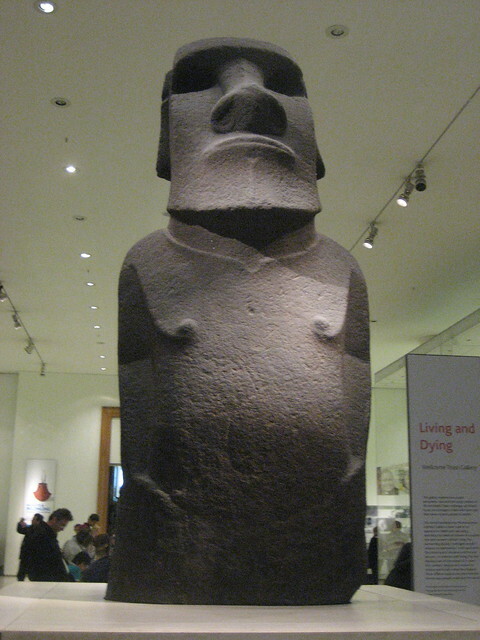 This handsome fellow is named Hoa Hakananai’a (roughly translated as “Stolen or hidden friend”) and is dated around 1400. 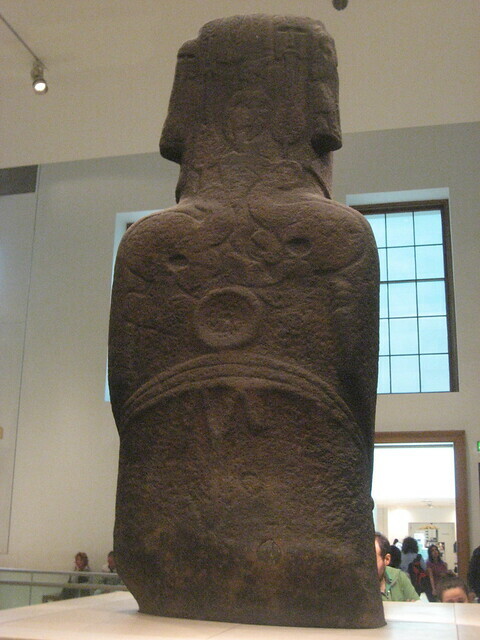 About a thousand moai were made on Rapa Nui, but apparently this is only one of 16 that was carved from basalt. What’s really compelling about this one though are the unexpected carvings on the back, which are Birdman symbols that were added after the moai was moved to ‘Orongo. 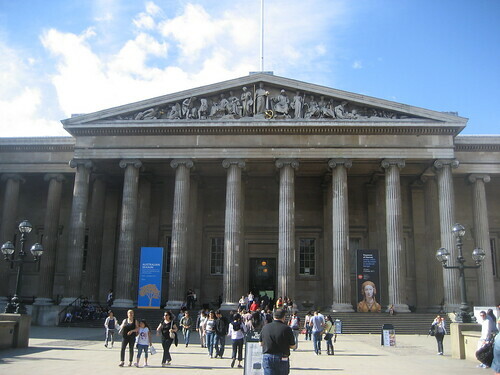 It was brought to England in 1869 by the HMS Topaze, and Queen Victoria gifted it to the museum (presumably because it clashed with the Buckingham Palace curtains). 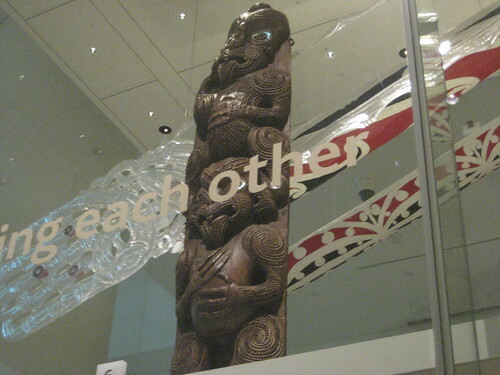 It’s part of the “Living and Dying” permanent exhibition that’s been in the Wellcome Trust Gallery since 2003. 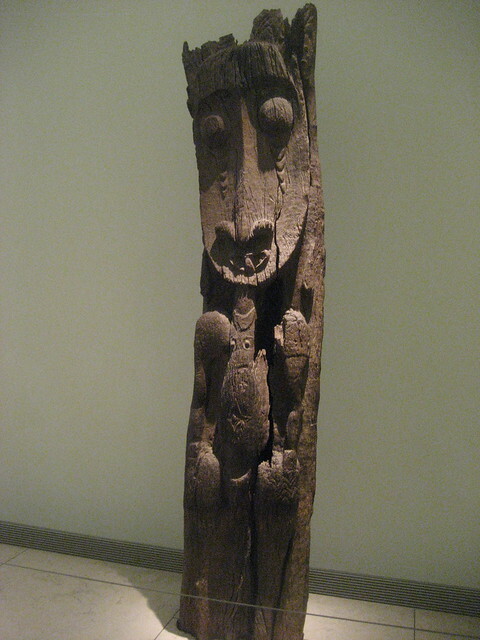 There are also objects from Africa, North and South America, the Solomon Islands and New Zealand, like this carved wooden post from the 1830s-1850s. If you look closely you can see the rauponga pattern—the notched “V”s are supposed to resemble the namesake fern frond.